Periodontist and implant surgeon Dr. J’Nelle Delica of Delicate Periodontics and Implant Dentistry is a transplant from Fort Lauderdale who brought her expertise north after falling in love with Wellington. The modern facility offers many services, including digital X-rays, dental and deep cleanings, dental extraction and dental implants. The practice features the latest in laser therapy. 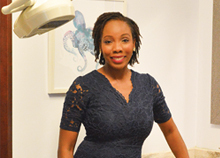 After a highly decorated student career at Florida A&M University and post-graduate studies in Boston at the Harvard School of Dental Medicine and the Harvard School of Public Health, Delica returned to South Florida for her residency at Nova Southeastern University in periodontics and implant surgery. Delica became interested in her specialty while in dental school. Delica’s practice aims to provide patients with a delicate touch. Her passion for patient service is evident in every aspect of the practice. Delica and her staff go out of their way to inform patients about their dental options. With a passion for providing patients with the best dental care in a comfortable manner, Delica “moved up” to Wellington to open her practice because of the great community and its people. Delicate Periodontics and Implant Dentistry is located at 3319 State Road 7, Suite 315, in Wellington. For more info., call (561) 892-2170 or visit www.doctordelicate.com. After three decades in the corporate arena, Cheryl Love dreamed of retiring and owning a fitness center in a community where everyone who comes in can feel like it is theirs to enjoy. Resilient Fitness & Wellness of Wellington is her dream come true. Originally from Chicago, Love resided for years in the small community of Spring Lake, Mich. She has lived in Wellington since 2013 and is now the CEO of the business she envisioned for decades. It is a mission she has continued now that her corporate days are behind her. Love, who is single and has a 33-year-old son, is comfortable in her new life. The rebranded Resilient Fitness & Wellness, complemented by a sharp new web site, is a 12,000-square-foot facility, which includes a fitness center, clothing boutique full of designer clothing and a jewelry shop specializing in one-of-a-kind pieces. For convenience, the web site features the dates and times of classes and provides an application to sign up online for the classes. Resilient covers all ages interested in fitness. To provide a complete menu of services, Resilient has partnered with the Wellness Experience for chiropractic care and Bio Core Health for IV therapy, medical weight loss programs, hormone replacement therapy, wrinkle relaxers, fillers and more. One thing that sets Resilient apart from other fitness centers is a different approach to fitness and wellness, assisting clients in reaching their objectives in a modern, state-of-the-art facility. The comfortable facility has experienced personal trainers who go the extra mile, so clients can achieve their fitness goals and have fun doing it. Love pointed out that the facility even offers individual showers for those who like to work out in the morning before they head out to their career and need to shower and dress at the center. It is just one more way that Resilient Fitness helps clients achieve their goals. “We are here to help change your life for the better,” Love said. For clients interested in both flexibility in scheduling and a service that is gentler on the pocketbook, small group training is available featuring five to seven people training at a time with each following an individualized program. The complete range of services offered by Resilient Fitness allows clients to determine the scope of service that is perfect for them. Before new clients begin a program, they first undergo a “Personal Resilient Analysis,” where experts learn their needs and goals. The client will do some fitness tests and determine their individual goals and develop a plan on how to reach them. A timeline is drawn showing how long it will take to reach the goals. Trainers will critique current diet and exercise programs and educate the client on things, including caloric need, carbohydrate metabolism, timing and balancing meals, as well as cardio and target heart rate. Love welcomes all area residents to visit the facility and see all that it has to offer. Resilient Fitness & Wellness is located at 11596 Pierson Road in Wellington. For more information, call (561) 204-5033 or visit www.resilientlives.com. Orthodontist Dr. Randall Shults recalls that seeing a teacher’s wonderful smile in elementary school was when he first became interested in dentistry. “My second-grade teacher had the warmest, most beautiful smile I had ever seen. I appreciated at a very young age that your smile, and how you choose to use it, is your introduction to others the first time you meet and every social interaction thereafter,” explained Shults, who has practiced in Wellington for 25 years. After growing up in Littleton, Colo., a small suburb of Denver, Shults picked Wellington to establish his practice and raise his family. “I moved my family to Wellington in the spring of 1993 for the small-town atmosphere, great local schools and to start my orthodontic practice,” he said. Shults became focused on orthodontic procedures relatively early in his dental school career. Shults is married to Rose Carbone and they have three children. He enjoys biking, paddle boarding, yoga and TRX training at Ultima Fitness. 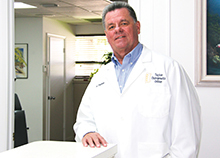 He is a past president of the Palm Beach County Dental Association, a past peer review chair of the same organization and has been the orthodontic section chair of the Atlantic Coast Dental Research Center since 2010. A passion to provide excellent treatment is what Shults feels sets his practice apart from other offices and is a reason that clients choose him. He treats patients of all age groups. It all adds up to more confident and attractive smiles. Shults added that easier access for better dental hygiene is a goal for him, as it is associated with improved oral health and overall health and well-being. “I use Damon Braces because the self-ligation feature eliminates the older elastic or steel ties, making them much easier to keep clean, more comfortable to wear and faster to adjust, which means less time spent in my office and more time to do whatever it is a patient really wants to do,” he said. He uses other orthodontic methods as well. Shults is also proud that his office is one of a select few to participate in the evaluation of a new type of braces. “We currently are one of five orthodontic offices in the United States that has been asked to participate in clinical testing and evaluation of 3M’s new clear, self-ligating orthodontic braces,” he said. Shults is proud to have grown his practice in Wellington. “We love Wellington as a family-friendly community and the safe academic, sports and social programs available to help our children grow, develop and excel as productive young adults,” he said. The offices of Shults Orthodontics are located in Wellington at 12180 South Shore Blvd., Suite 101. For more info., call (561) 793-9888 or visit www.shultsorthodontics.com. With more than 30 years as a chiropractor, Dr. Brett Taylor of the Taylor Chiropractic Center has been caring for the residents of the western communities for 25 of those years. “It’s all about helping people to get out of pain, getting function and improving their overall quality of life,” he said. From his new Wellington office, Taylor and his team treat thousands of patients for short-term relief care for acute problems, all the way to a long-term wellness care for those clients who choose that option. Services at the practice include traditional hands-on chiropractic adjustments with spinal mobilization techniques, as well as a combination of therapeutic treatments including ultrasound, electrical muscle stimulation, flexion/distraction and others. Taylor is also certified in physiotherapy. These comprehensive services give clients of the Wellington center a full spectrum of chiropractic wellness care: traditional chiropractic care, corrective exercises, lifestyle advice, nutritional counseling, massage therapy, and spinal and postural screenings. These various modalities allow Taylor to treat multiple spinal conditions ranging from back and neck pain to more complex problems. This includes degenerative disc disease, sciatica, whiplash injuries and more. In the initial, guaranteed satisfaction consultation, Taylor will determine which treatment is best for a patient’s situation. The guarantee promises that if you are not 100 percent satisfied with your initial visit, then you will not be charged by the office for that visit. Taylor said that the practice’s goal is to get the patient out of pain fast, and they offer pain-relief treatment programs with that in mind. Yet he stresses that good health is much more than the absence of pain. It is taking care of yourself, going to the gym, eating right and using appropriate vitamin supplements. “I am a strong believer in vitamins,” said Taylor, who works holistically to restore patients to their full potential. Taylor and his wife Pam, who runs the office, have been together 26 years and have a son who attends the University of Florida and a daughter who attends Florida Atlantic University. Over the years, they have been active supporters of the American Cancer Society and the Kids Cancer Foundation. In addition, Pam was a chair of the Acreage/Loxahatchee Relay for Life fundraiser. She also volunteers with Friends for Life, an organization that raises money to help local families with cancer. “We do try to reach out to the community and help where we can,” Taylor said. The facility offers same-day appointments, and walk-ins are also welcome. Insurance is accepted, not required, and the office is a provider for most major insurance companies, including Aetna, Blue Cross/Blue Shield, Cigna, Humana and United Healthcare, among others, in addition to accepting Medicare assignments. They also take Florida No Fault/PIP for auto injuries, plus there are affordable self-pay options. The Taylor Chiropractic Center is located at 12788 W. Forest Hill Blvd., Suite 2002, at the corner of Forest Hill Blvd. and Wellington Trace. For more information, call (561) 793-5050 or visit www.taylorchirocenter.com. More than 20,000 clients from across the nation and around the world have visited New Beginnings Medical Spa at one of its six locations in South Florida. With a facility in Wellington, area residents don’t have to travel far to lose weight and look younger. 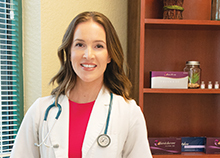 Physician Assistant Alison Roloff works under the direction of a highly qualified doctor to administer services and treatments to combat the effects of aging. “I am qualified to do all the procedures for the hCG diet, administering the cosmetic services and the IV treatments,” said Roloff, who has been a physician assistant for five years and worked in the cosmetic medicine field on the west coast of Florida before joining New Beginnings. The family-owned New Beginnings Medical Spa began in 2007, providing the doctor-supervised hCG diet, and it has grown to half a dozen spa locations and expanded the service offerings to include cosmetic treatments. The hCG diet is an advanced medical solution designed to achieve the greatest weight loss, effectively and safely. Heralded in medical journals for generations and first developed more than six decades ago, the program includes a very low-calorie diet, sometimes as low as 500 calories per day. This is combined with the hormone human Chorionic Gonadotropin (hCG), which is a naturally occurring compound that is found in pregnant women. The hormone regulates progesterone production and interacts with testosterone to promote weight loss in both women and men. The plan was extensively studied first in the 1950s when Dr. Albert T.W. Simeons developed the protocol, and a version of the plan is still being utilized effectively today. Called the number one diet in the country, some patients lose up to a pound a day. Whether an individual is seeking weight loss or personal enhancement goals achieved through the most up-to-date cosmetic treatments, New Beginnings specializes in providing advanced, medically administered injectable solutions. These include Botox, Juvéderm, glycolic skin peels and more. Roloff explained that while the natural elements of sun and wind, life’s worries and stress, and the effects of aging all take a toll on the body, faces are the most noticeable. With Botox, a person doesn’t have to live with this toll of looking older than they need to. Roloff said that permanent creases and wrinkles on the forehead, between the brows and around the eyes can often be softened and smoothed for up to six months. Each person is different, but one treatment can yield results that show within days and last for months — and that’s just one of the various treatments offered. Patients who are interested in staying healthy and vibrant, gaining more spark and energy, increasing productive years and expanding lifespan, may choose the facility’s offerings of IV nutrient therapies. Each patient receives a custom treatment formulated to fit their individual needs and to achieve their specific health goals. IV nutrient therapy is designed to rehydrate the body, revitalize the patient’s mind and replenish energy stores. “Anyone interested in losing weight, feeling their best, reversing wrinkles and slowing down aging, and treating the aging process, should arrange for a consultation by giving us a call,” Roloff said. New Beginnings offers periodic “party pricing” with $100 off the fee for services. For details, and to be invited to the next party pricing event, call the office. The Wellington office of New Beginnings Medical Spa is located at 12300 South Shore Blvd., Suite 220. To learn more, visit www.newbeginningsmedical.com or call (561) 210-9250. 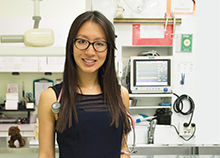 Dr. Sy Woon, the newest doctor at All Paws Animal Clinic, brings her life-long passion for working with animals all the way from her original home, down under in Australia — complete with the great accent. Woon also received certification in this country by passing the state licensing exam and a rigorous board examination. “It is a seven-hour test and that ensures I am knowledgeable in all aspects of veterinary medicine and surgery,” she explained. Just starting work at the clinic about a month ago, Woon is new to the western communities, having moved to South Florida three years ago. Since opening 17 years ago, All Paws Animal Clinic has developed into a well-respected veterinary hospital serving the western communities. With a mission statement dedicated to providing “quality care with compassion for your best friend,” the facility provides the latest in medical diagnostics and surgery with warmth and dedication. Dr. Patricia Forsythe, medical director at All Paws, has been a veterinarian since 1985 and is a member of the Florida Veterinary Medical Association and the American Veterinary Medical Association. “Everyone on Dr. Patty’s team [as Forsythe prefers to be called] has been so welcoming. A bouquet of flowers greeted me on my desk the first day,” Woon said. All Paws provides an excellent, modern medical and surgical services facility with everything required to deliver the best quality veterinary treatment. Most recently, Woon was the medical director at the nonprofit Justin Bartlett Animal Hospital. She feels that she has found a home with the best fit at All Paws. “It really aligns with my values,” Woon explained. Woon’s passionate views about the welfare of animals is one reason that she is also the state representative for the Humane Society Veterinary Medical Association. Working with her favorite category of pets, small animals, Woon said, “I am a dog and cat person,” explaining that she has a special interest in dermatology, dentistry and behavior. Woon explained that it is usually the odor and the fact that the animal is constantly scratching that alerts pet owners to a dermatological problem. “There are plenty of medications developed in the past five years that can help make your dogs and cats happier,” she said. Both dental and dermatological issues can be combated with annual visits to the veterinarian. “Prevention is better than treatment,” Woon stressed. Woon enjoys being the newest member of the All Paws family. “I really enjoy working with these great animals… I am proud to share the compassion for the patients,” she said with a distinct accent on caring. All Paws Animal Clinic is located at 1011 N. State Road 7 in Royal Palm Beach. Hours are Monday through Friday from 8 a.m. to 6 p.m. and Saturday from 8:30 a.m. to 1 p.m. For more information, call (561) 790-9225 or visit www.allpawsanimal.com. “New Radiance Cosmetic Centers have years of experience assisting clients in accentuating their inner beauty by providing procedures that let clients see themselves younger,” Dorsey said. The Wellington location is New Radiance’s latest office serving Palm Beach County and beyond. The center is a full-service cosmetic facility dedicated to bringing the most complete and advanced selection of cosmetic and aesthetic procedures to Palm Beach County. The medical director of New Radiance Cosmetic Center in Wellington is Dr. Andrew Rosenthal, who is a board-certified plastic surgeon. “He is one of the foremost plastic surgeons in the area, a highly experienced and accredited expert,” Dorsey said. New Radiance’s talented and experienced staff includes top cosmetic physicians, physician assistants, nurse practitioners, estheticians and more. New Radiance is also known for its liposuction procedures. “We do more minimally invasive ‘walk-in and walk-out’ Smart Liposuction than anybody else in South Florida, with nationally renowned Dr. Neil C. Goodman performing 50 liposuctions per month, more than 5,500 so far in his career. “He is arguably the top liposuction expert in the nation,” Dorsey said. Dorsey, who has more than a dozen patents in designing and developing surgical instrumentation, has always worked in the medical field. “I worked for United States Surgical Corporation and started a company called American Hydro-Surgical and grew it to just under 200 employees in 10 years,” he said. Then, in 2005, he developed the first New Radiance Cosmetic Center. Today, the facility is the top provider of Ultherapy non-surgical facelifts in Palm Beach County. “It is perfect for those who are reluctant to undergo a surgical procedure to get a facelift,” Dorsey said. Ultherapy is currently being offered at the promotional rate of 40 percent off, and right now the center is running a 25 percent off CoolSculpting promotion at the new location. With a vision to be the area’s premier facility offering state-of-the-art surgical and non-surgical treatments at reasonable costs, in a comfortable spa atmosphere, New Radiance provides free consultations to interested clients. “During a one-on-one session with a specialist, you will learn about the options that are right for you,” Dorsey said. 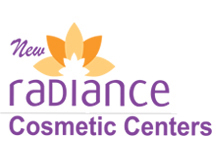 New Radiance Cosmetic Center’s new Wellington facility is located at 2655 S. State Road 7, Suite 830. For more information, visit www.radianceofpalmbeach.com or call (561) 323-4267. Frenette Dor, the owner of Dor Life Spa & Wellness Center, finds great joy in being an intricate part of the wellness of others. As a state-licensed, certified massage therapist, aesthetician and skincare specialist, she has been in the business for 15 years, moving to a new, larger location in May. The staff at Dor Life Spa includes a holistic doctor, registered nurse, nurse practitioner and therapists providing complete services for massage therapy, facials, bio-therapy, nutritional therapy, weight loss and weight maintenance treatments with an emphasis on eating clean and healthy, skin care, contouring, medical-grade chemical peels and more. Dr. Melissa Peters is a certified holistic nutrition practitioner. A member of the National Association of Nutrition Professionals and the American Holistic Health Association, Peters focuses on increasing the “gut-brain” function, as well as power, strength and endurance among individuals and athletes. Recovering from severe health issues of her own lead Peters to return to school in order to better care for herself and her family. Earning a master’s degree in health and nutrition education and a doctorate in holistic sports nutrition, she has also worked as a health coach and conducted research in nutritional protocols for Alzheimer’s prevention. Peters is an expert on genetic and environmental factors pertaining to optimal nutrition. Like Dor, she is passionate in her efforts to enable clients to achieve wonderful health through the use of proper nutrients, knowledge and guidance. She works with a broad range of clients, including children and adults. Marthany Jean Baptiste has been a registered nurse since 2012. As a nurse, she has focused on crucial care and emergency room nursing and has also worked as a personal trainer. She has a bachelor’s degree in physical education with a primary focus on exercise science. Baptiste earned her bachelor’s degree in nursing from South University in West Palm Beach. She is a new mother of her daughter, Renee, and is an active board member for a nonprofit organization promoting wellness in the community. The spa offers a long list of services. 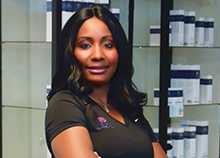 At the spa, Dor and her team use specialty products to optimize the benefits of the services. Several of the services are for people suffering from chronic pain. Many of the services are preventative in nature, helping clients live a healthier life. Other services offered at Dor Life Spa are enzymatic and traditional facials, “Zero Down Time” chemical peels, the liquid “Oxygen Rx” facial system by Circadia, the Switch Dermal Rejuvenation System by Circadia, nutrient body sculpts, hormone and thyroid testing, EpiFree hair removal and Vivace Fractional Micro Needle RF therapy. Dor Life Spa will hold a special event on Friday, Aug. 24 from 2 until 6 p.m. Product demonstrations and explanations will be available. Dor is excited about her first few months in the new location. “The business is expanding as more and more people find how exceptional our services really are,” she said. Dor Life Spa & Wellness Center is located at 12794 W. Forest Hill Blvd., Suite 18A, in the original Wellington Mall. Hours are Monday through Friday, 9 a.m. to 8 p.m. and Saturday, 9 a.m. to 3 p.m. For more info., visit www.dorlifespaandwellness.com or call (561) 557-4177. 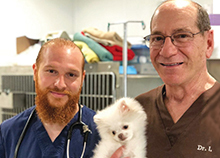 One might say that Dr. Neil Grossman was born to be a veterinarian, as he is a member of a family that has devoted much of their lives to serving the pets of the Wellington area. Grossman, 29, is the newest member of the team at the Palms West Veterinary Hospital. However, he has been hanging around and working at the practice much of his life. Grossman’s family moved to the area when he was 15 from New York, where his father had a successful veterinary practice. They have had Palms West Veterinary Hospital since 2005. 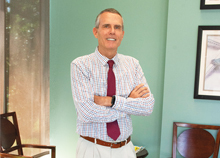 Grossman received his undergraduate degree from the University of Florida, then took some time off to work at the family business, before returning to veterinary school in the accelerated program at Ross Veterinary College on St. Kitts in the Caribbean, a school that is fully accredited by the American Veterinary Medical Association Council on Education. It offers a high-tech campus with a rigorous curriculum. “It’s a great school and a beautiful island,” he said. 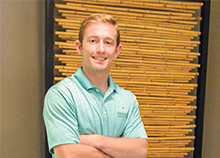 After graduation, Grossman completed his clinical work at UF in 2017. When he’s not at the hospital, he enjoys surfing and working out. Grossman believes several things set Palms West Veterinary Hospital apart from other veterinary clinics: their state-of-the-art equipment, round-the-clock service and the atmosphere. These capabilities, combined with laser therapy, ultrasound and even grooming, make for a single-point operation for pet care with emergency services. In addition to extended office hours, from 8 a.m. to 8 p.m., seven days a week, the urgent care emergency facility — staffed with a doctor and veterinary nurse — is open 24 hours a day, every day. “The fact that we are always open really sets us apart,” said Grossman, who explained that with a doctor always there, they are a true, round-the-clock, urgent care facility for pets. Equally important is the family atmosphere. With Grossman’s brother and sister-in-law on the management team, and a younger sister soon to be following in his footsteps, graduating veterinary school herself this year, the practice really defines the term family owned and operated. Grossman offered advice to pet owners. “If there is one thing I’d like everyone to know, it is to get regular checkups, so you can prevent heartworms,” he said. These nasty parasites affect many mammals, including dogs, cats and even ferrets. They are a chronic and potentially fatal disease in dogs, because dogs are their natural host. The disease is spread by mosquito bites that transfer the juvenile stage from one animal to another. However, it is completely preventable with preemptive medication. “Even inside-only pets can get heartworms, because we all know mosquitos can get in the house,” Grossman stressed. Palms West Veterinary Hospital is located at 556 Folsom Road. For more information, visit www.palmswestveterinary.com or call (561) 798-2780.